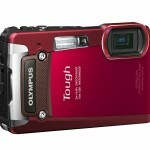 Olympus just introduced a new waterproof, shockproof “Tough” camera, the TG-820 iHS. Those of you who read my articles and reviews are probably aware I’ve been critical of Olympus waterproof point-and-shoot camera image quality for the past couple of years (see my Olympus TG-610 Review). 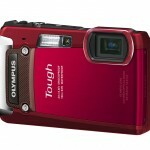 I’ve also seen a lot of user reviews complaining about the slow reaction time with the Olympus Tough cameras and I can’t say I disagree. The TG-820 iHS brings good news, though. 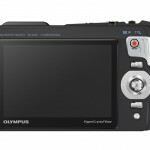 Olympus has made some major upgrades to the guts of the TG-820, switching from a 14-megapixel CCD sensor to a 12-megapixel backlit CMOS sensor and giving it TruePic VI processing – just like they use in their powerful new OM-D Micro Four Thirds interchangeable lens camera (Olympus OM-D E-M5 camera intro). Thanks to those two changes, the TG-820 iHS should be quicker and have much better image quality, hopefully putting it back up on the rugged camera top shelf. You might have noted and wondered about the “iHS” in the new camera name. 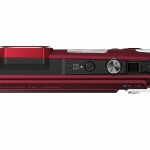 iHS stands for “Intelligent, High-Sensitivity and High-Speed.” Similar to Canon’s “HS System” compact cameras, iHS in an Olympus camera, “harnesses the power of a new 12-megapixel BSI (Back-Side Illuminated) CMOS sensor and the TruePic VI image processor” for, “dramatically improve low-light performance, speed up camera response time, enhance scene and subject recognition and double zoom magnification without losing image quality.” From what I understand, Olympus will be using backlit CMOS sensors in other compact cameras as well. So hopefully this is the beginning of better image quality in Olympus point-and-shoot cameras. I’m going to try to get a TG-820 iHS for review ASAP. I am really anxious to see Olympus redeem themselves for the past two years of what I thought were disappointing waterproof point-and-shoot cameras. 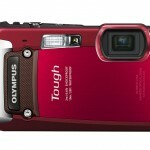 They invented the “rugged” point-and-shoot camera category back in 2006 with the Stylus 720 SW and since then their waterproof, shockproof cameras have been along with me to document many rainy, muddy and snowy adventures. Unfortunately, when the image quality started to go downhill, I started looking for love in other places – so to speak. And the competition has gotten a lot tougher since 2006. 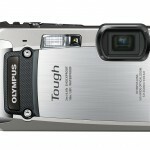 Everyone (Panasonic, Sony, Nikon, Canon, Fujifilm) makes a rugged, waterproof outdoor camera now. 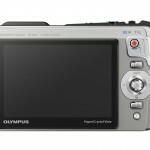 It’s time for Olympus to step it up again and get back in the game – and in my pocket. The image quality and speed improvement are enough to get me excited about the new Olympus TG-820 iHS. But it’s also got full HD video, a 3-inch 1.03-million-dot LCD display and a 5x 28-140mm (equivalent) optical zoom lens. This was mentioned earlier but it’s worth mentioning again – the camera also has a feature called, Super-Resolution Zoom, which digital doubles the length of the lens with, according to Olympus, “nearly no loss of image quality.” I’ll have to see it to believe it but I like the idea. One thing I noticed is missing is GPS. 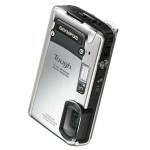 Last year’s TG-820 and most of the other top-of-the-line waterproof point-and-shoots have built-in GPS. However, as neat as it is to be able to tag your photos in the camera, I will happily the GPS for a better actual camera. 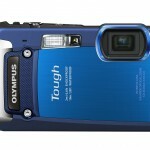 The new Olympus TG-820 iHS Tough camera should be in stores next month (March, 2012). It will be available in Red, black, blue and silver and the suggested retail price in the US will be $299.99.